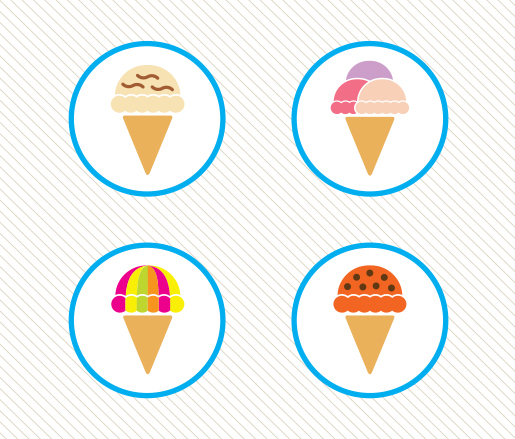 Keep cool this summer with some of our favorite frozen treats. (But let's be honest, we'd lick up these delectable delights any season of the year.) Lemon Verbena Ice Cream This flavorful recipe from Ben Batterbury combines the bright, aromatic zip of lemon verbena with the lusciously thick texture of frozen custard. Cool and creamy, it strikes a perfect balance between refreshment and indulgence. 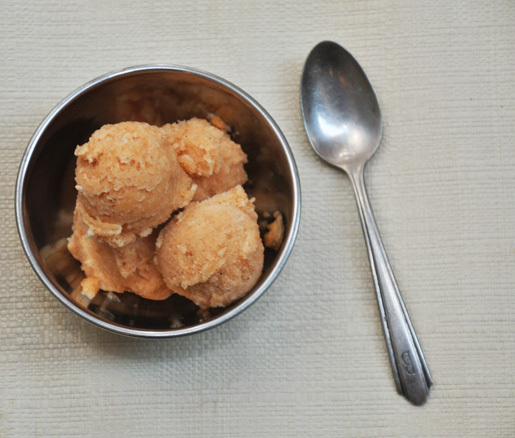 Champagne Sorbet Celebrate summer with this light and tasty favorite of James Beard. Orange juice and zest give the sorbet a sweet, citrusy punch. Hazelnut–Vanilla Gelato This decadent and enticing dessert boasts generous amounts of Nutella and white chocolate. Jeni's Awesome Dirt Road Ice Cream A delicious, crunchy trail of smoked almonds peeks out from the depths of this intensely chocolate ice cream. They can't seem to make this flavor fast enough at Jeni's Ice Creams in Columbus, Ohio, and we're sure it'll go just as quickly at your house. Grand Marnier–Blueberry Ice Cream This gorgeous ice cream from Jeffrey A. Savage is marbled with a blue-pink swirl of blueberries. It's almost too pretty to eat, but that won't stop you from devouring it. Peach–Basil Sorbet A quick-and-easy prep makes this refreshing sorbet a winner for hot, lazy summer days. We think it's best made with floral and delicate white peaches. Maple Ice Cream If you miss the earthy flavors of fall, kick back with a scoop of Geoffrey Deconinck's maple ice cream. We like to use Grade B syrup for this recipe, as it enriches the ice cream with deep maple flavor. Ask a Chef: What’s Your Favorite Ice Cream Haunt?